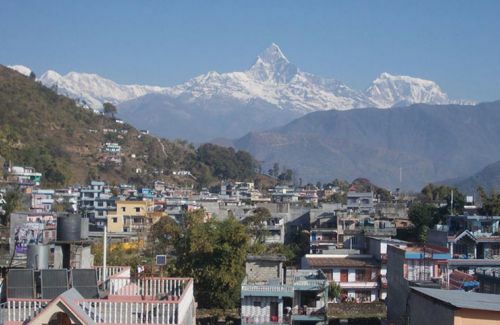 Kathmandu Valley has three main cities: Kathmandu, Bhaktapur and Lalitpur. 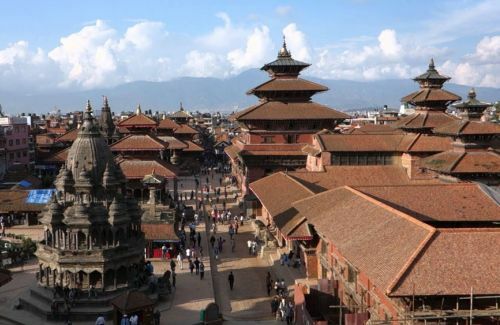 There are four world heritage sites in Kathmandu. These places are worth visiting. These are the places rich for cultural, ritual activities and one can get impressed by the specimen of workmanship. The Newari art especially of the Malla period is fascinating. Swoyambhunath is called lovingly a monkey temple because there are many rhesus macaques living around the stupa. The stupa has typical Tibetan Architecture but there is Nepali especially the Bajrayana Buddhism influence. 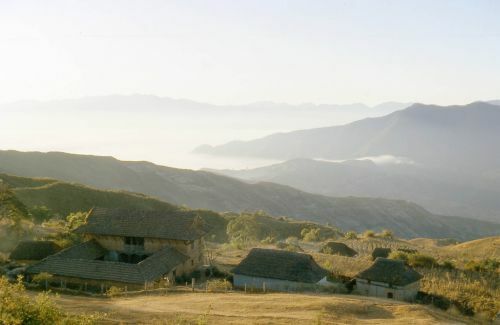 This is the conical shaped hill from where people can enjoy the sun rise, sunset and the view of the valley. Kathmandu Durbar Square can be taken as the living museum. This is the place dominated by the Hindu temple, courtyards, palaces etc. The most important attraction of this place is the living goddess KUMARI. People can enjoy the squares doing shopping around there. 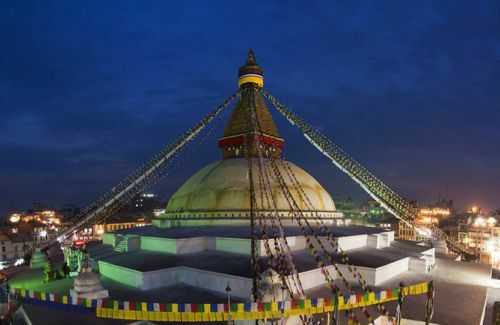 Boudhanath Stupa was built in 5th century A.D. by the Lichhavi king Manadeva. 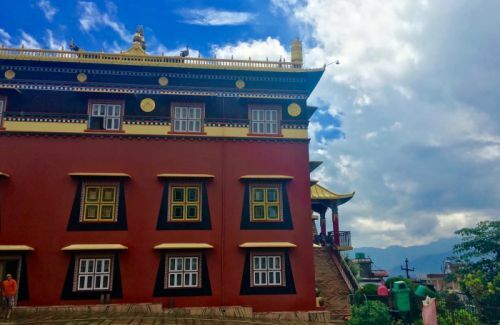 This stupa is in typical Nepali architecture but it has Tibetan influence. It has many monasteries around it. 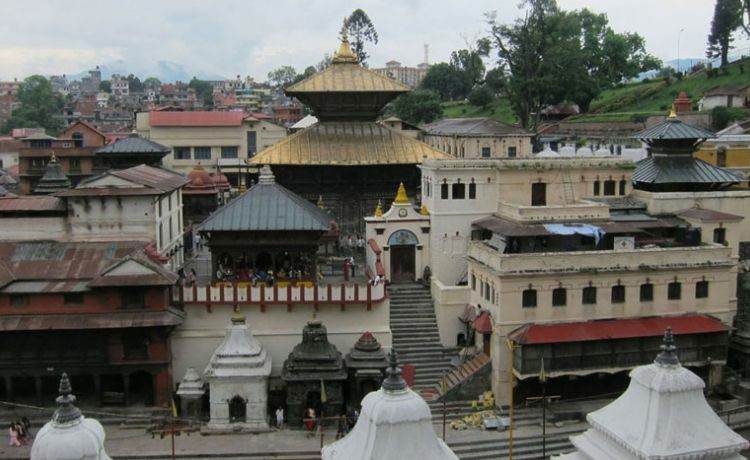 Pashupatinath is the famous Hindu pilgrimage sites. This place has occupied 264 hectors of land including monuments, ghats, river and the jungle. Dead bodies are being cremated in the ghats. We pick you up from the hotel at 9:00 a.m. Then we begin our tour to Swoyambhu, the monkey temple. We can either hike up the 360 steps to the top or the easy way from the western side. 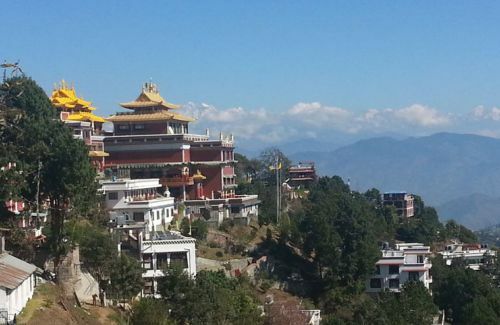 You can enjoy this place viewing different ritual activities, people walking around the stupa chanting mantra. After this, we go second place to Kathmandu Durbar Square. This place is a bit crowded than other places but the old carvings amaze you. We go to Boudhanath after doing sighting of Kathmandu Durbar Square. This place is peaceful and you can feel the real vibration of chanting, meditation there. You can have lunch in the roof top restaurant if you like. 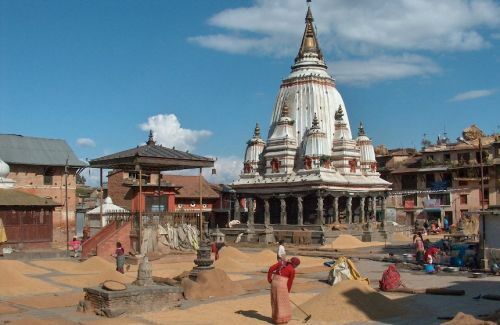 Pashupatinath is just 2 km in distance and interesting place to see the cremation. We go the eastern bank of the Bagmati River and see the activities done by the people. You could hike up to temple and enjoy the scenery. Completing the tour around Pashupatinath, we return back to the hotel. View the ritual activities, way of living etc. 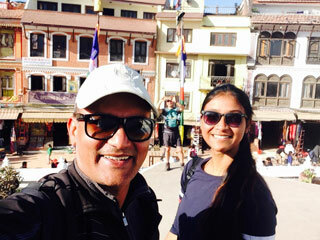 Day 01Sightseeing in Kathmandu, visiting four World Heritage Sites: Kathmandu Durbar Square, Swoyambhunath, Boudha Stupa and Pashupatinath TempleWe drive from hotel around 9 am after breakfast, then reach to Swoyambhunath, lovingly called it the monkey temple. This is the best view point for sun rise and valley view in the clear day. We can see the five different places dedicated to five different elements from nature. The 6th century old stupa looks gorgeous with five dhyani buddhas in its four direction. After this, we depart from there and drive to Kathmandu Durbar Square, just 1 and half km, a bit crowded with pilgrims, local vendors and visitors. We can see the marvelous architecture from medieval period. 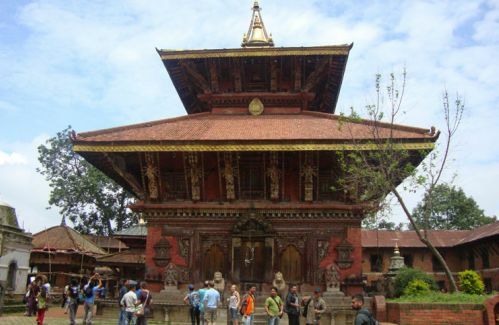 The dominance of Malla arts and crafts can be pointed there when we visit temples, courtyards, palaces etc. Then we drive 8 km to Boudha Stupa, a peaceful, vibrating destination full of monks and nuns chanting mantras- "Om Mani Padme Hum" counting prayer beads in their hands. After circumambulating the giant stupas, we get lunch some where in the roof top restaurant and drive nearby very famous Hindu temple Pashupatinath. This is the temple dedicated to supreme Hindu God Shiva where we can see ritual bathers, priests, sadhus, and cremation spots. After our sightseeing, we return back to hotel.